The Economist has released a new league table ranking which universities make the biggest positive impact on their students, naming London South Bank University (LSBU) in the top four of London’s universities. Of 125 institutions in the UK, LSBU was named 32nd overall on the table released this week by the publication, which is one of the most widely recognised and well-read current affairs magazines. LSBU Vice-Chancellor, Professor Dave Phoenix, said The Economist table took into consideration factors that were often ignored in other league tables, and reflected the transformational nature of studying at LSBU. “For 125 years now, LSBU has been transforming lives, businesses and communities and our mission has remained the same since the very beginning: to provide professional opportunities to all who seek them,” he said. “We take great care in creating courses that add value to our students not only in a theoretical sense, and every student at LSBU has the opportunity to take on a placement or work experience as part of their degree, which is just one aspect of our approach to creating highly employable graduates. 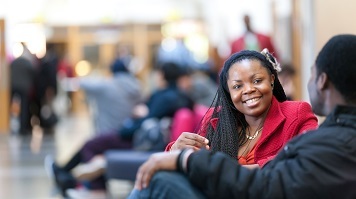 Learn more about the employability and careers support at LSBU.